...I finally broke in my Urban Decay Naked palette...gorg. ...I spent 30 minutes removing Deborah Lippman’s glittery Happy Birthday nail polish from my nails. That was a tough one. ...Shaun and I decided that we officially like Big Love after 4 or 5 episodes. It was a rocky start, but I think we are ready to commit to the series. Love everyone on this show! And also love that I’ve already spotted 3 actors who also just so happened to star on my beloved (and short-lived) Veronica Mars - anyone? anyone? 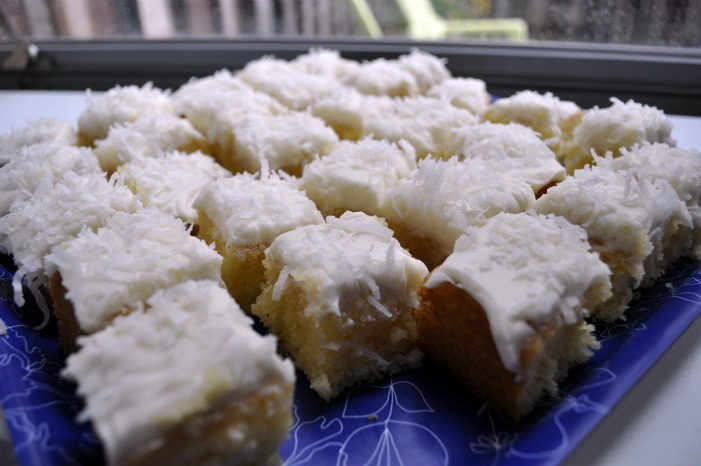 ...I woke up at 4:30 in the morning and realized that I never shared my Pineapple Coconut Dream Bars with you. Let’s forget how sick that is, ok? I have a lot going on. But it happened. And I’m sorry that I’ve deprived you...please expect this bit of yum on Monday morning. ...I got new glasses...not too shabby, right? My last pair was from 10 years and 2 prescriptions ago. Not so good. ...I made these ah-mazing Golden Grahams cookies...and next week you can bid to win a batch at The Sunday Sweet’s bake sale to benefit OC Walk to Remember. Head over there on Monday Aug 1! ...I saw Friends with Benefits. I thought it was great and funnier than I originally imagined it would be. I love Mila Kunis. I finally get why everyone loves Justin Timberlake so much. He’s adorable. And funny. And adorable. ...Alex at Yums and Loves is featuring my Chocolate Cherry Smoothie as part of her no-bake recipe roundup. 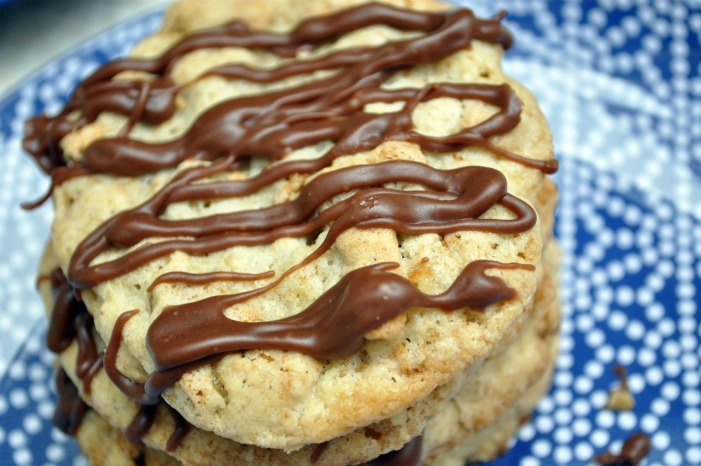 Check out all the deliciousness on her blog! ...I read A Stolen Life by Jaycee Dugard. Holy wow. If any of you are interested in hearing about it, I’d be happy to review it for ya, just give me a shout! While we’re talking about all the fun of this week, I’d love to take a moment for next week. On Sunday morning, I am heading down to Aruba with Shaun and my family. I really am so excited for this trip. We usually go in early July, but pushed it back this year because Kimberly just took the Bar this week (yay Kimmi!!). I cannot wait to get my eat, drink, lay and read on in paradise. I have some fun posts and guest posts lined up for you next week, so be sure to drop in!